From a competitive standpoint, it makes sense for a large retailer to store goods in its own retail premises rather than at a warehouse that it rents or buys that’s miles from its place of business. 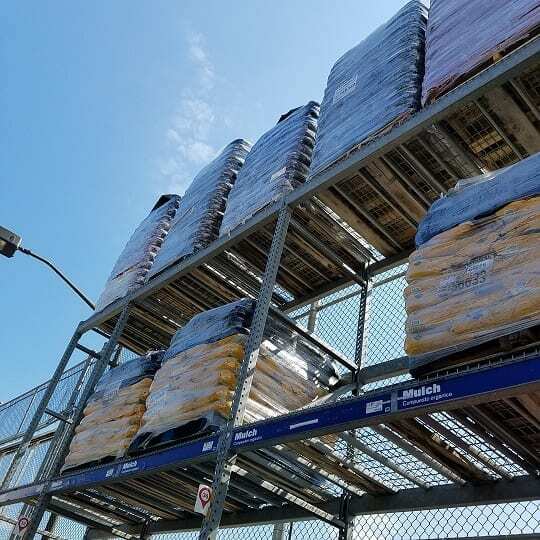 That’s the model that retail warehouses are based on, so now we have Walmart, Kmart, Sam’s Club, Costco, Home Depot, Lowe’s and many other retailers that operate retail warehouses. There’s only so much horizontal floor space in these stores though, so merchandise is often stored vertically 10 to 15 feet high. By storing goods that high, the risk of merchandise falling on customers increases significantly. There’s usually little or no warning of an accident either. With about 160 Walmarts, 105 Costcos and 65 K-marts scattered around California, that’s a mountain of stacked merchandise waiting for the law of gravity and an avalanche. In court documents, Walmart admitted that it received a minimum of 17,000 customer injury claims in connection with falling merchandise over a six year period. It also received about 7,000 of such employee claims. Common characteristics of retail warehouses are high stacking and below average to poor customer assistance and employee training. Employees and customers often use ladders or anything else to climb to a product. Sometimes they even climb on the shelving themselves. Merchandise is often stacked in an unstable manner with too high of a center of gravity and no safety bars, ties or perimeter wrap. Sometimes merchandise being stacked with a fork lift on one aisle forces merchandise stacked on the aisle next to it to fall. A customer who enters a retail warehouse is an invitee who enters the premises for the commercial benefit of the entity that owns or occupies that structure. On that basis, the store owner has a legal duty to take reasonable measures protect its customers from unreasonable risks of harm. That duty extends to the aisles and passageways that customers are permitted to use for their shopping. In the context of a retail warehouse, that means that the business owner must place its products on shelves or storage racks in a safe and secure manner so that they won’t fall on customers, especially when those customers might not ever touch the shelf, storage rack or the product. If the customer doesn’t prove any single one of those elements, his or her case fails in its entirety. Store owners in stacking accidents routinely allege that the claimant’s injuries were partially caused by his or her own negligence, and that any award should be reduced by the percentage of fault attributable to that person. For example, if a damages award is $100,000, and the claimant has been determined to be 25 percent negligent, the award is reduced to $75,000. That’s the law of comparative negligence. Most courts take a dim view on allegations of comparative negligence in cases involving injuries from falling merchandise. Attempting to shift the burden of reasonable care and caution over to the injured claimant is unreasonable when he or she neither created the condition nor had any control over it. Quite often, the customer never touched the stacked merchandise or the structure that it was stacked on. Under those circumstances, the duty to be free from negligence can’t be delegated over to the customer. Even if he or she took something from a shelf that then collapsed and caused their injuries, the duty of care isn’t delegable when the store created the condition. Judges are well aware of the perils of high stacking and the dangers that come with it. Don’t give a statement to the store owner in the event that you’re injured by falling merchandise. Insist on calling 911 and being taken to the nearest emergency room. Then call us for a free consultation and case evaluation. There’s no obligation, and no legal fees are owed unless we obtain a settlement or verdict for you. It’s highly likely that you’re entitled to full and complete damages when merchandise or anything else falls on you from above.